Located on Jones St. & a short walk to restaurants & Pulaski Square, this delightfully spacious 2 bedroom plus bonus condo at Jones Square offers ample space & unique amenities for a condo in the Historic District. The building offers private parking, private storage unit, indoor pool, fitness center, large meeting/media room, & beautiful outdoor space. The unit itself is well maintained & features a large master suite w/ access to a private covered porch, sitting room, & en suite bathroom. In the middle of the unit is a bonus room that could be used as a second sitting area, office, nursery etc. The second bedroom has an en suite full bath as well. The main area of the unit features a granite countertop kitchen w/ breakfast bar, a nice dining area, as well as an expansive living room w/ access to the covered porch & a half bath. The unit is laid out for plenty of space and storage. 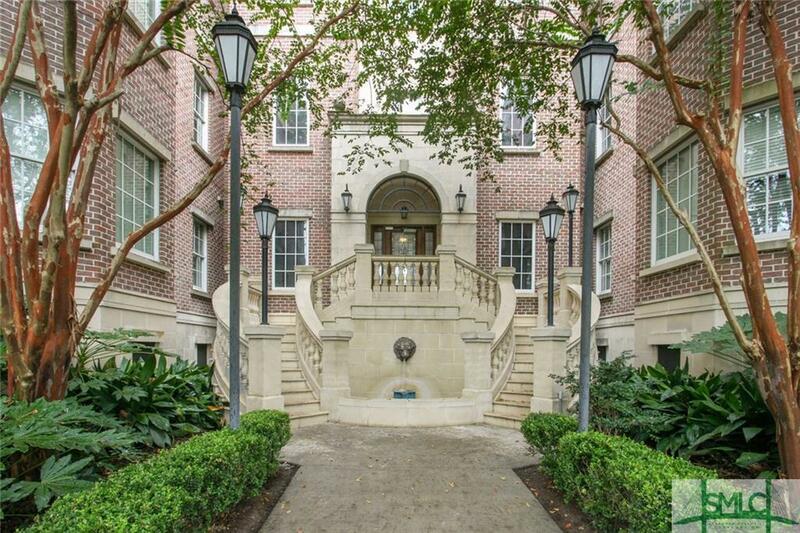 Come enjoy living in a beautiful condo that is steps away from living in the Landmark Historic District. Listing courtesy of Kristy Valdez of Cora Bett Thomas Realty. © 2019 Savannah Multi-List Corporation. All rights reserved. © 2019 Savannah Multi-List Corporation. All rights reserved. The data relating to real estate for sale on this web site comes in part from the Internet Data Exchange program of the Savannah Multi-List Corporation. Information is deemed reliable but is not guaranteed accurate by the MLS or Teresa Cowart Team. Real estate listings held by brokerage firms other than Teresa Cowart Team are marked with the name of the listing brokers. IDX information is provided exclusively for consumers' personal, non-commercial use and may not be used for any purpose other than to identify prospective properties consumers may be interested in purchasing. Data last updated: 2019-04-21T22:07:29.76. Teresa Cowart Team is Savannah Area's most innovative real estate team.